A glorious vase arrangement made using Autumnal Colours. 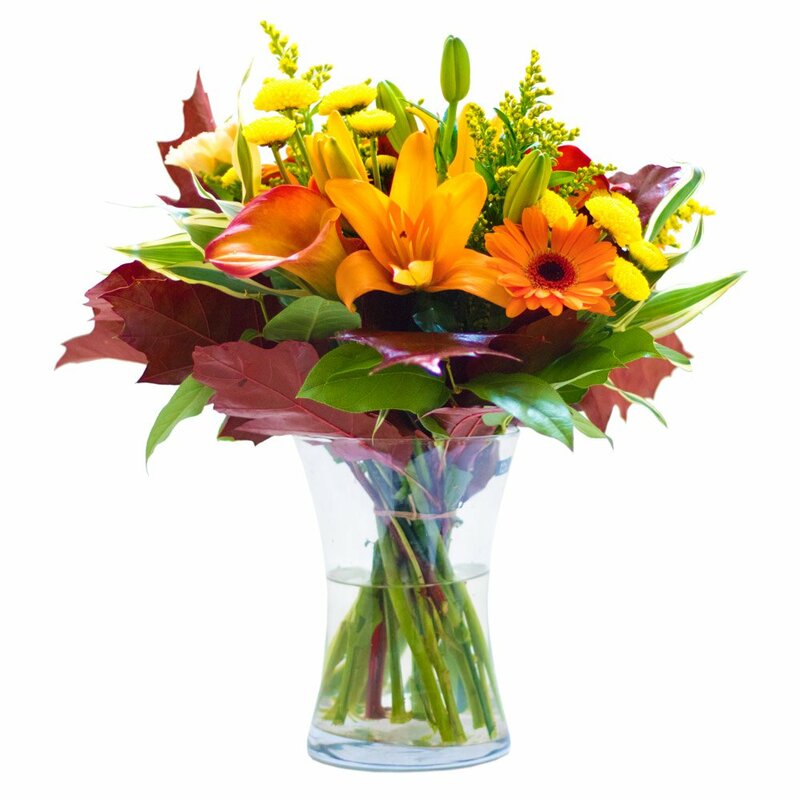 Golden leaves, burnt orange lillies and glorious gerbera. Hand delivered by the local florist with your special card message. This bouquet is a ray of sunshine even on the dullest of days!